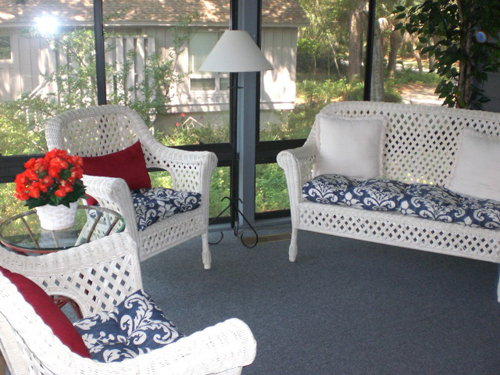 Simply put: You’ll love our home and your time on Kiawah! Award-winning beaches, links and family fun await you here on the island. Scroll down the page to find out more! Sometimes it’s the details that count the most, and in our home, we have those little (and big) things covered. Our spacious home has room for families of all sizes. With ample floor space, four bedrooms — each with its own bath — and a large kitchen and dinning room, we’ve got all your living needs taken care of. 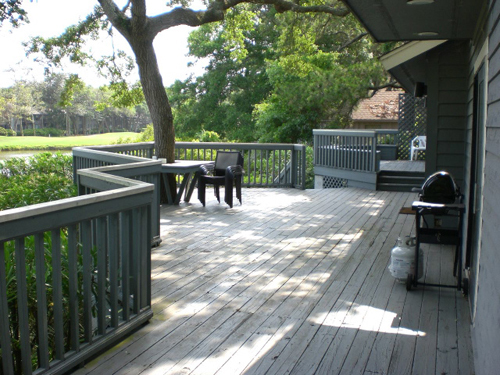 Step onto our large deck and observe Kiawah’s natural life playing in nearby lagoons. Please no pets and smoking inside is not allowed. Our home is kid friendly. 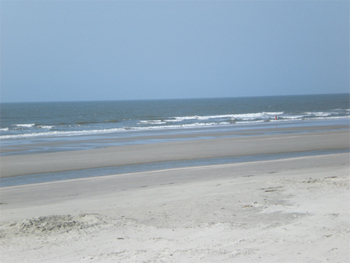 Kiawah has 10 miles of warm, sunny beaches. Sand castle making encouraged! (Right to left, top to bottom) Spacious deck with gas grill. Carolina room with new furniture. 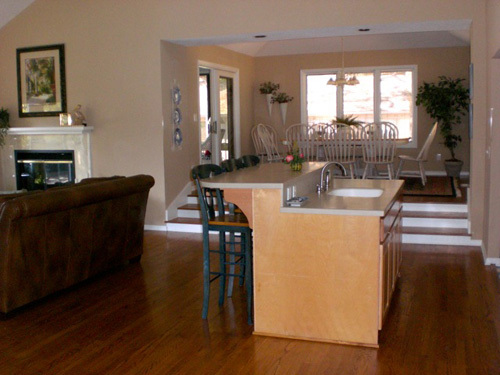 Breakfast island and dining room with nearby fully equipped kitchen. 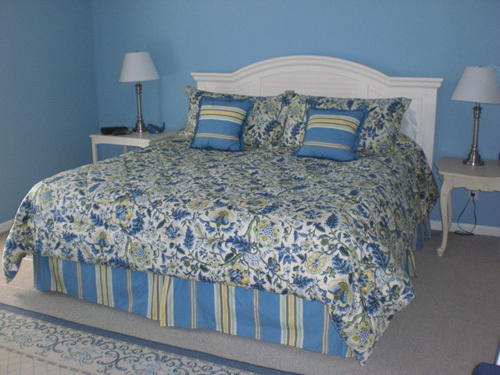 Downstairs bedroom with king-size bed and attached bathroom.